Today, we are excited to share with you a newly released book! Lauded as energizing, infecting, exciting, and inspirational by personages ranging from Kevin Bales to CNN execs, as well as business leaders and Obama administration officials combating trafficking, Justin Dillon’s new book, A Selfish Plan to Change the World, is a call to action to imbue our lives with purpose and give of who we are, and thereby create meaning—meaningful lives and meaningful solutions to society’s biggest problems. The book takes us to some surprising places, and Justin graciously agreed to answer a few questions that we’d love to share with you. In the book, there is an anecdote about a conversation with your 3-year-old son in the middle of the night. This story really resonated with me personally as a parent. Can you talk a little bit about how parenthood either affects or is affected by the work you do towards social justice? Do they shape each other in any way? JD: Parenthood is social justice. It’s the greatest form of social justice. As parents we are able to provide things to another human being who can’t acquire those things for themselves yet. And if we do our job well, it will have a manifest benefit to other human beings. Parenthood is also a great metaphor for social justice, which is a form of privilege. The capacity of one human being to offer some form of help, whether it be advocacy, aid, education, empowerment, is a privileged position. Privilege can ruin us if we don’t leverage it for those without it. It’s a privilege to be a parent that comes with an inexpressible joy of purpose. You relate a story where you are amongst presidents, celebrities, high-level financiers, and other elites, and in this story you paint a picture of people who are deeply concerned about the plight of the oppressed and disenfranchised. In the next chapter you mention how your wife came from a life of poverty, which suggests that you personally sit at a nexus between two different worlds. In your opinion, are elites as out of touch from the concerns of ordinary individuals as they are often portrayed to be? Is there a side we don’t often see? Are there more ways we can encourage connection between the two worlds? JD: I’m generally uncomfortable with the term ‘elites’ or ‘one percenters.’ Indifference isn’t relegated to only those with several commas and zeros in their bank accounts. The high net worth individuals that I know are very interested in ‘contributing a verse’ as Walt Whitman says. Many want to contribute more than donations. They want to be meaningfully helpful, and I’ve met many who work behind the scenes to push humanity forward. I think we mistake attention for net worth sometimes. Just because you look or act rich, does not mean you are, and if that’s what you are focused on then you will always be living below the poverty line of meaning. I think it’s time to see high net worth individuals as more than piggy banks for causes. What was intriguing was the notion that by telling more fully dimensional stories of the people we work with, we are simultaneously tapping into more fully dimensional notions of the donors we’d like to reach, and likewise treating them with respect and dignity. Can you talk a bit more about how tapping into deeper layers of meaning might resonate with more fully realized notions of self? Do you think this can help people overcome aversions to uncertainty, or reframe things in a way to encourage leaning into the chaos instead of shying away from it? JD: Human beings were not designed to be autonomous, and that’s where we get stuck. Our need for each other is a two-way street. Just because you have the capacity to donate does not mean that you are a fully self-actualized individual immune to a need for purpose and meaning. What if charities thought of themselves as an agency who provides to donors, rather than just extracting from donors. We need to get beyond the idea of ‘causes’, ‘issues’, and ‘charity’. We can’t see our needs, and our inherent value, when we think that changing the world is a just an elective side hustle. Interacting with the problems of others is existential survival. It’s the only way to find true purpose in life. That’s why my book is called A Selfish Plan To Change The World. Can you share more personally with our readers why you wrote this book, and what sort of action and change you hope the book will inspire? JD: I want people to know how valuable they are. I want to show them how anyone can participate in changing the world, regardless of where they live, how much they have, or who they know. When I say changing the world, I mean every one of those words. CHANGE. THE. WORLD. As in make the world work differently than it is now. We all want to matter, and we all have something to offer, but we can get stuck in life’s circular pursuits of comfort and acquisition. I want to offer courage to live for something bigger than ourselves, and in doing so, find out who we truly are. Thank you, Justin, for taking the time to share your thoughts with us! We hope our readers will find new and renewed inspiration from hearing your perspective. See a Trailer for the Book! Or you can get a: Premium Boxed Set with Signed Copy and Find Your Riot Hat and proceeds go towards the fight against human trafficking! 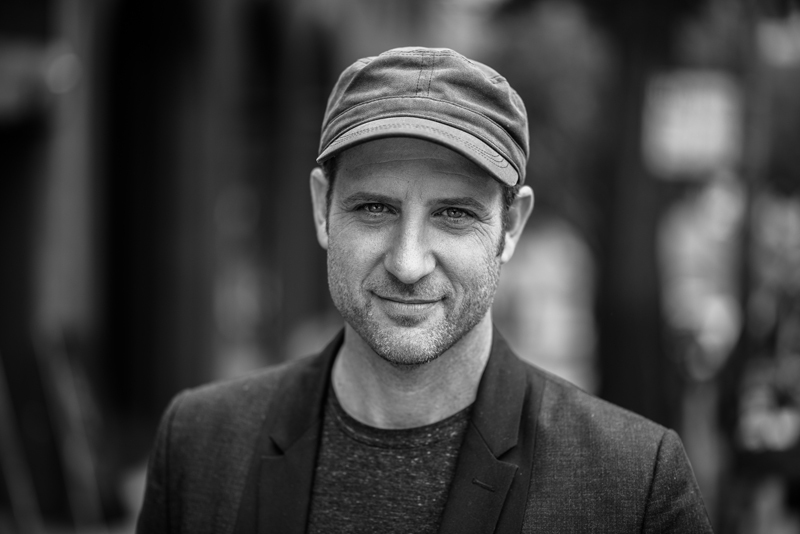 A professional musician turned filmmaker, nonprofit founder and social entrepreneur, Justin Dillon is CEO of Made in a Free World, an award-winning platform that brings together consumers, organizations, and businesses to disrupt the $150 billion business of human trafficking. Justin’s leadership as a “practitioner of change” has awakened a global movement of more than 30 million, improved laws, and freed thousands of slaves. He has advised the United Nations, the U.S. State Department, the White House, the Vatican, Fortune 500 companies, and more on issues of disruptive innovation and social justice. Justin’s inspiring approach to ushering sustained change has led him to the world’s most regarded venues, board rooms and academic institutions. He is the director of influential films—with voices such as Cornel West, Questlove, Amber Valletta and Nicholas Kristof—including Call+Response and Common Dreams for CNN. Justin has been featured by The New York Times, The Washington Post, The Wall Street Journal, Forbes, USA Today, Fast Company, Vogue, Huffington Post, CNN, CBS, FOX, MSNBC, NPR, Cosmopolitan, Glamour, Rolling Stone, and more. He is author of A Selfish Plan to Change the World and his work has received many high-profile accolades including a Cannes Lion Award and a SXSW Interactive Innovation Award.